Ten Ton Hammer | Is Some Grind Really A Bad Thing? When Did MMO Fans Become So Tribal? Black Desert Online: Why Is The Pop-In So Bad? Is Some Grind Really A Bad Thing? Referring to everything in an MMO as a "grind" has become common. Is grinding some content really a bad thing? Use of the word “grind” is regularly thrown around when it comes to massively multiplayer games. Anything that isn’t instantaneous whether it be something as simple as killing multiple enemies, or completing a lengthy quest chain now find themselves labelled as a grind. While I can appreciate that the massively multiplayer genre isn’t particularly time friendly - we all lead busy lives - I get the impression that many simply aren’t willing to work for anything anymore. When I was younger part of the attraction of playing an MMO was the fact that I’d have a sense of adventure and accomplishment. That I’d login and find myself with a laundry list of things to do, choose one and work my way towards completing it. I might not have completed that night or a week on, but I’d be a goal I’d be satisfied to eventually reach. I’ve rarely had that feeling in any recent MMO and although it’s still very possible to have a list of things you want to do, most can be accomplished in a matter of hours, rather than days or weeks. The rise of microtransactions and your ability to purchase game currency through conversion has trivialized many aspects of the genre, while a consumer demand for immediacy has resulted in content that’s bite-sized and easily consumed. When WildStar first launched it brought with it an Attunement quest that saw players who wished to raid, participate in encounters throughout the game world. It was a lengthy process filled with exploration, dungeons and plenty of combat. I adored every minute of it and yet the backlash after launch was quite astonishing - I lost count at the amount of players who complained about it taking too long or requiring too much of a time investment. Sadly for WildStar, Carbine eventually caved in to community pressure and neutered the chain. The Attunement process is a perfect example of the modern majority being unwilling to invest time in order to achieve something. Yes it took a time to become Attuned, but there was a genuine sense of achievement upon completion and it provided a goal to strive towards. I was over the moon when I finally completed it. Black Desert Online is soon to arrive and it’s relatively clear that there are elements of “grind”. Not necessarily quest lead, but mechanical based on the systems that have been designed into the game. As one example, you gain no level experience from completing quests and instead, experience that contributes towards your level is obtained from killing monsters. Unsurprisingly this has lead to some suggestions that you’re going to have to constantly grind to accomplish anything. While I won’t lie and suggest there aren’t lengthy processes in Black Desert Online, I’m actually quite relieved for it. One of the systems in Black Desert Online involves creature knowledge, with knowledge obtained by killing them. The higher your knowledge rank (ranging from C to S) the better your rewards when they die. Is it mandatory to reach such ranks? Not that I’m aware of, but it’s a goal for people to achieve and it can be lucrative if you’re after certain items. Even the lack of fast travel or a global bank (each city can house your goods and you need to transfer them between each) returns players back to having to do some leg work. I’m not in any way suggesting that the current crop of MMO’s are doing anything wrong, but I often feel that part of the reason why players consume content so quickly is because everything is made so easy. It might sound arbitrary to have to transport your items from one town to another via horseback, when fast travel is a thing, but there’s undoubtedly a greater sense of immersion as a result - that in itself is rewarding. Regardless of how players wish to use the word “grind” in reference to undertaking anything in an MMO, I think at times developers to be willing to embrace it. No one truly wants to have to grind thousands of monsters for only a 0.1% chance for it to drop an item, but that isn’t to suggest game systems can’t be designed to at least slow players down or provide long term goals instead of handing everything over on a plate. Perhaps I’m just a minority? Click here for a special Black Desert Online purchase offer available exclusively to Ten Ton Hammer viewers and play today! 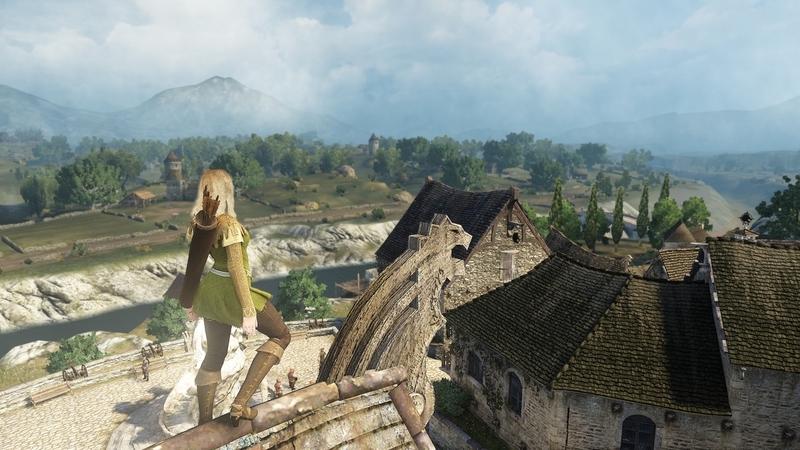 To read the latest guides, news, and features you can visit our Black Desert Online Game Page.